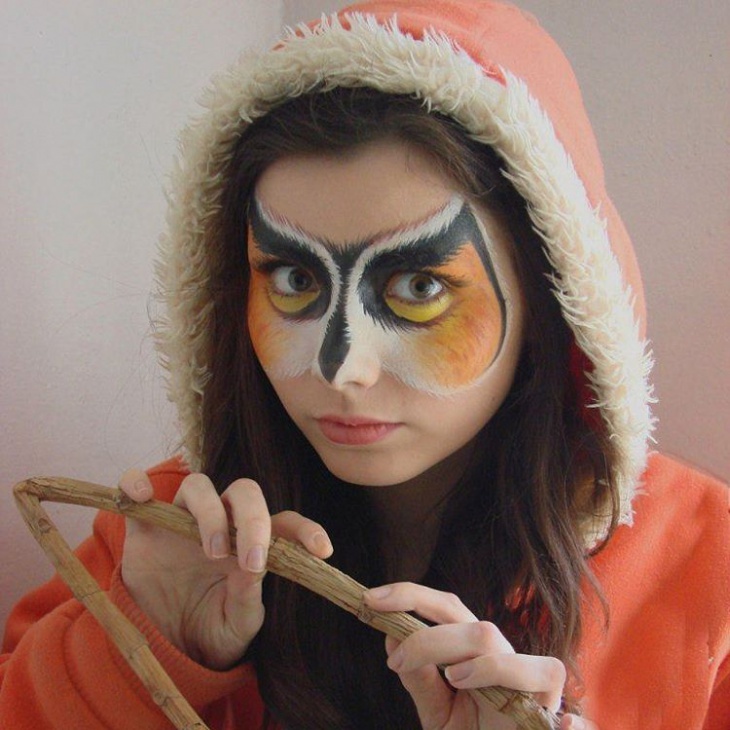 Bird makeup design is one of the ways to portray either cute or a scary effect. 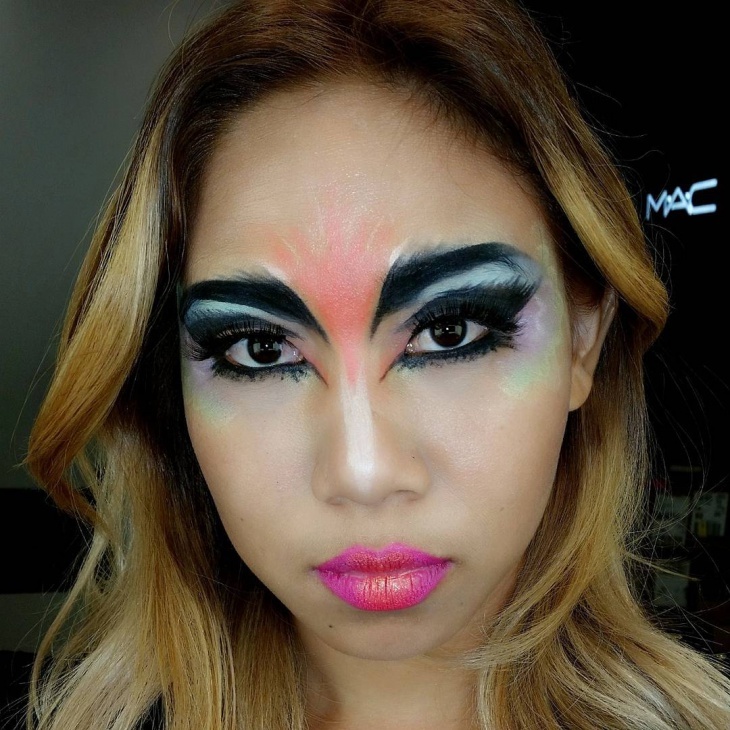 Suitable as a prom makeup, individuals can also opt to use these designs for Halloween or a costume party. 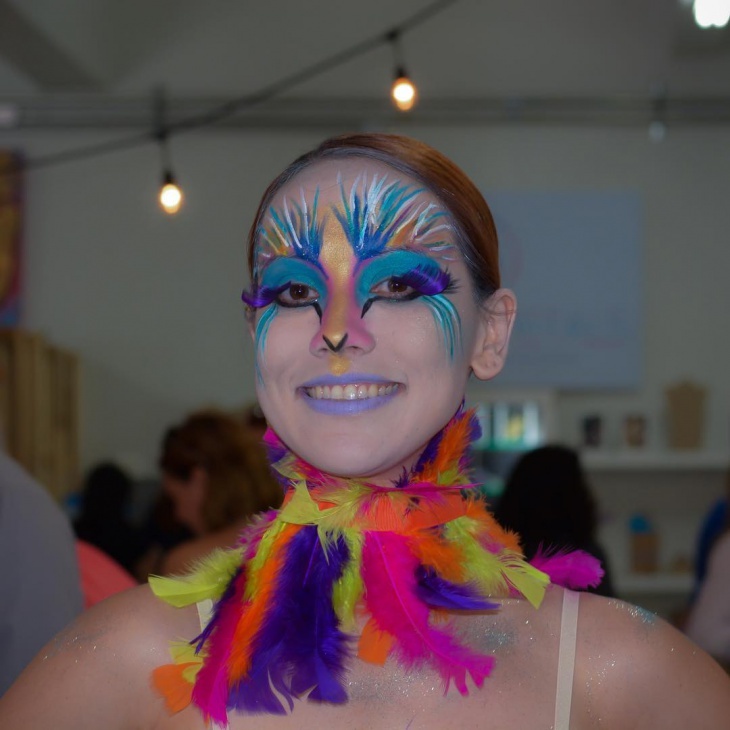 With bird makeup, you can have fun creating different looks either with a beak or feather themes, or both to come up with amazing designs. 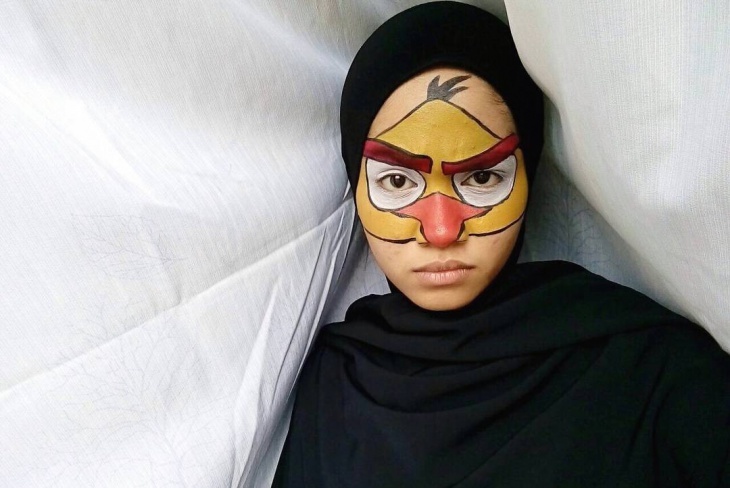 Read on to find out the different ways in which you can flaunt the bird theme on your face. 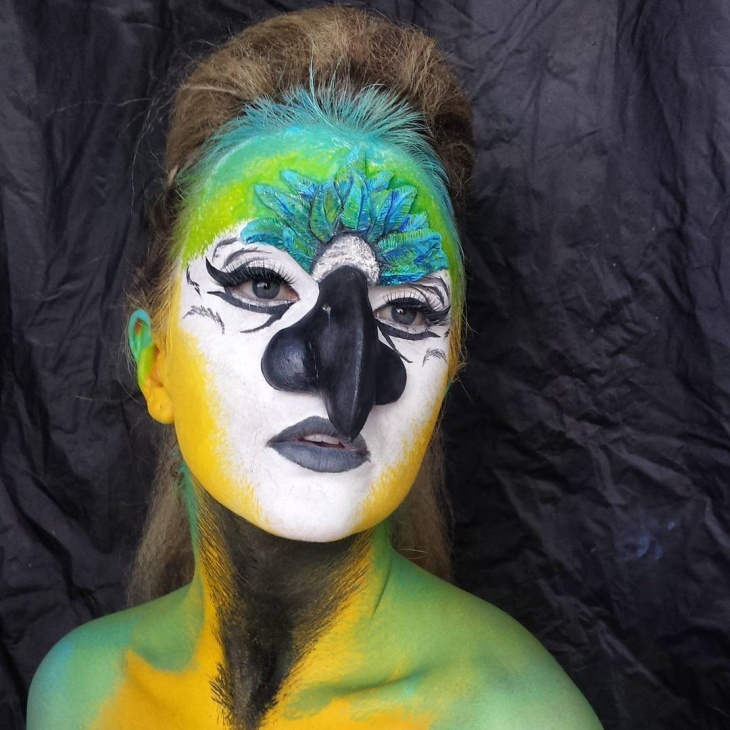 If you need to depict a parrot, then this bird beak makeup design can help you do just that. The key to recreating this design is to add a prosthetic bird beak on your nose and apply colors to your hairline. 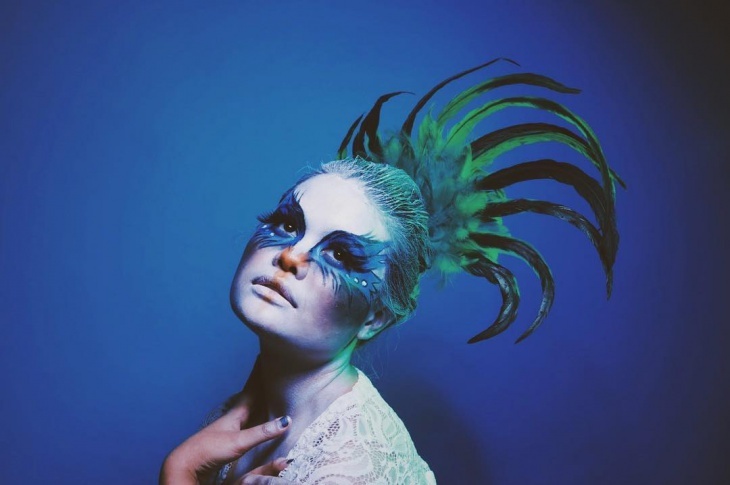 This Instagram user incorporates feathers on their eyelashes to create a dramatic effect. 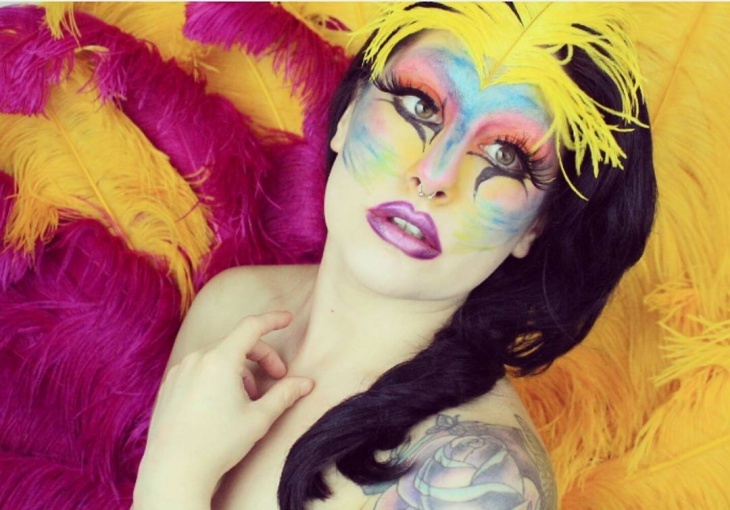 Suitable for people who want to portray the drag queen personality, this makeup is stunning and bold. The blue bird makeup can also complement your Halloween costume. 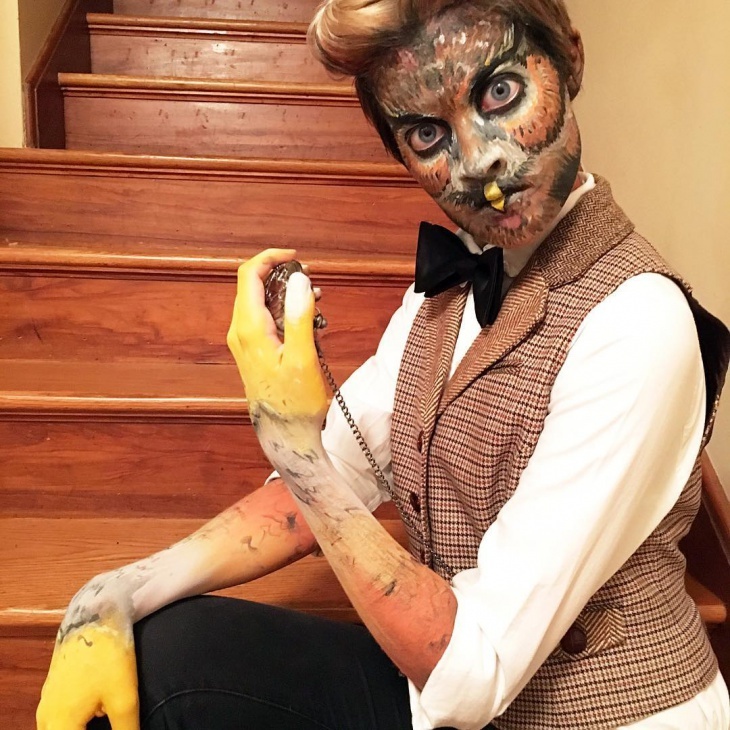 If you need to design an authentic bird theme on your face, then prosthetic bird makeup can help you accomplish that. 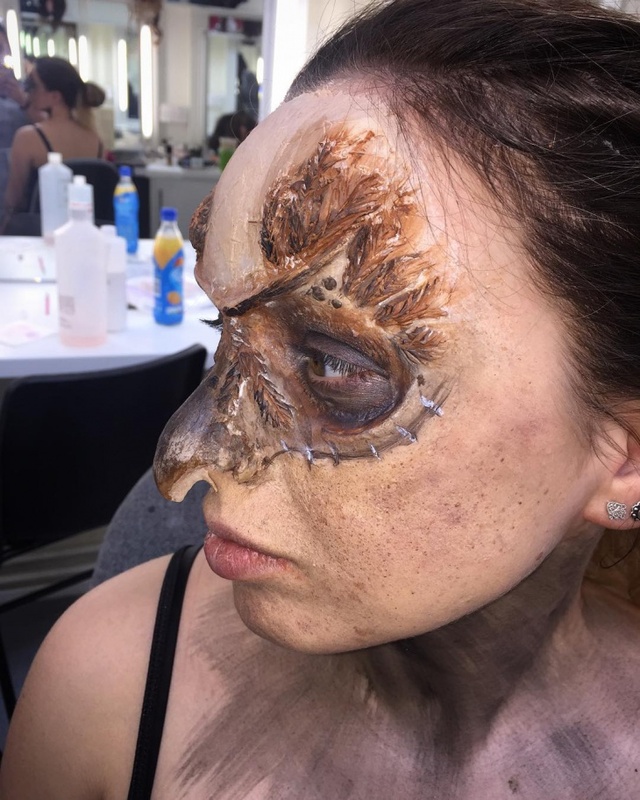 Unique yet scary, this makeup is for anyone who wants to represent birds of prey. Angry bird is the game that both adults and kids around the globe are playing. You can show your love for these cute birds with an angry bird makeup design. You can also use this design to depict your angry mood. 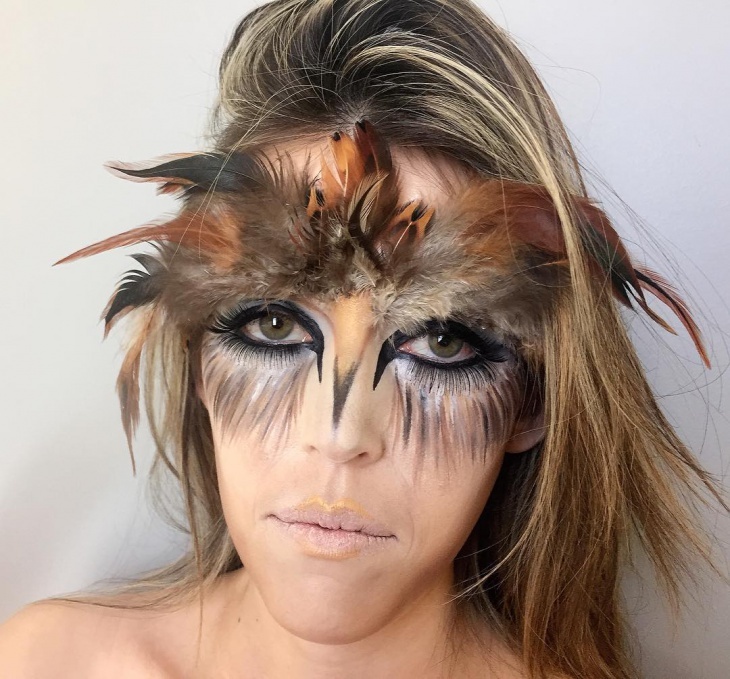 If you’re looking for a fantasy makeup that will help you stand out, then this bird feathers makeup idea can contribute to getting the desired outcome. This design is a very artistic form of expression where the face is the main canvas. 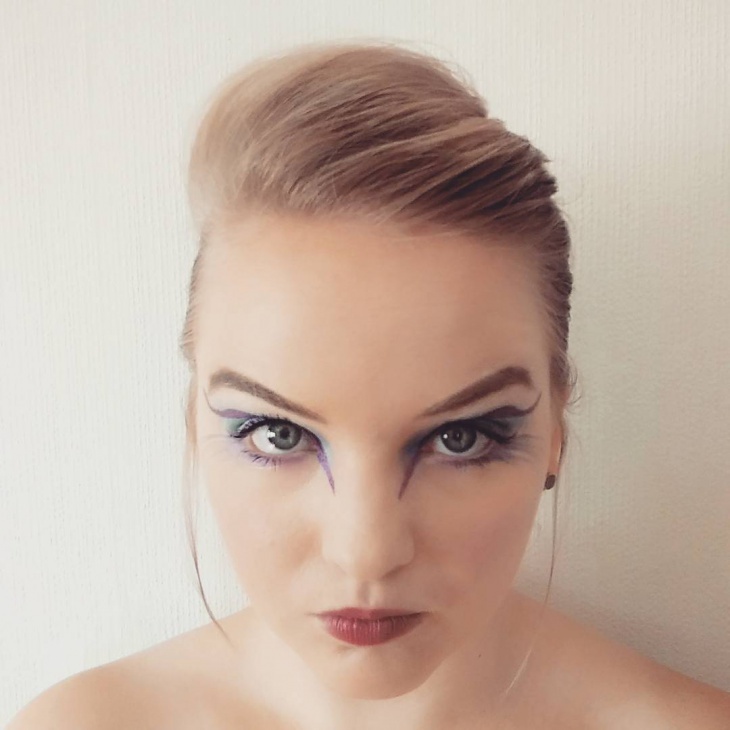 This bird stage makeup is ideal for an individual performing in theater, attending a costume party or going for a special photography session. 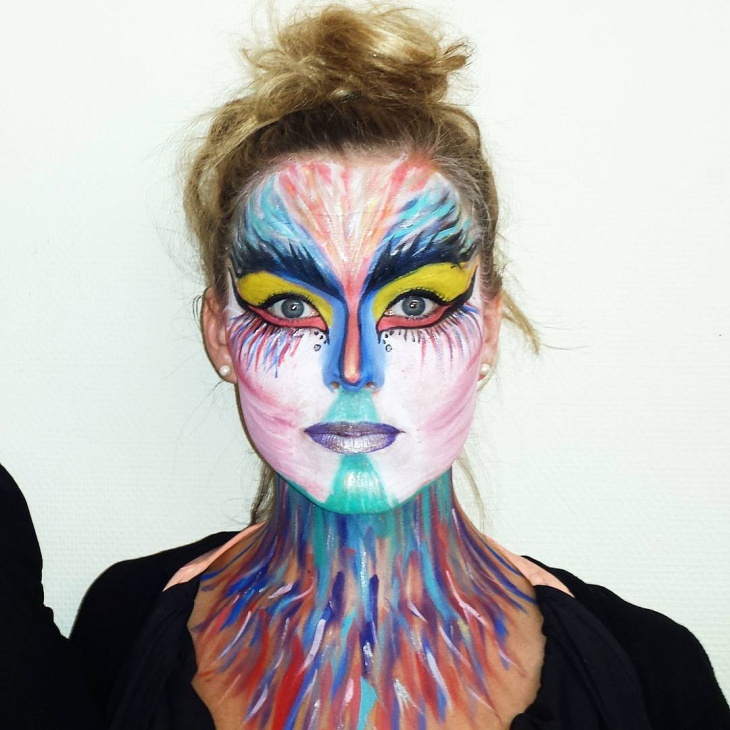 This bold design incorporates different feather colors on the neck and edges of the eyes. 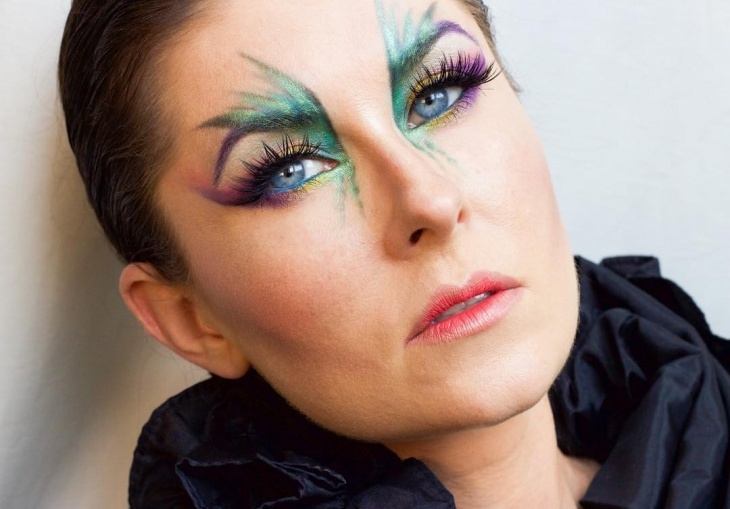 If you are into more subtle bird eye makeup designs, then this look is for you. Simple yet stunning, each intricate design adds a colorful effect without being over dramatic. The purple color helps the eyes stand out. 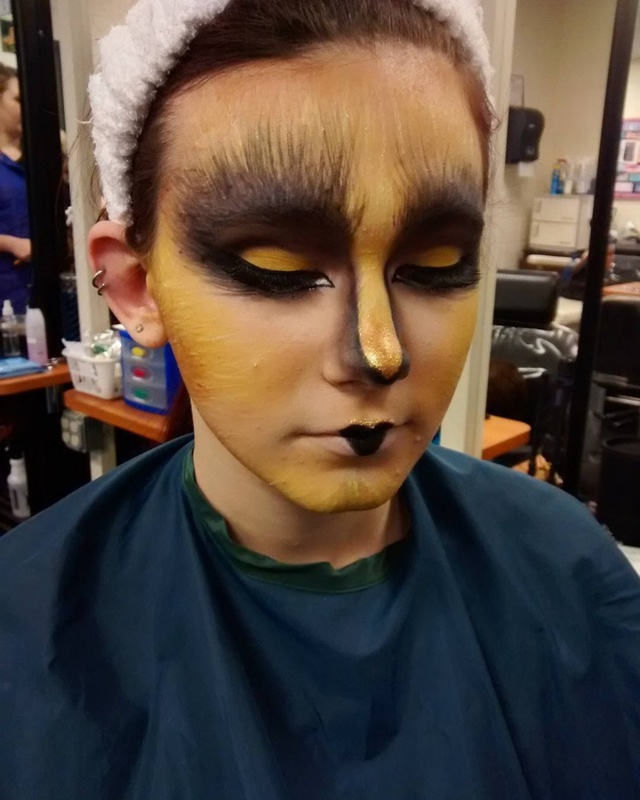 Teenagers who want to portray the American goldfinch bird can do so using this fantasy bird makeup idea. The key to achieving the perfect design just like in this image is to use only two colors: gold and black. 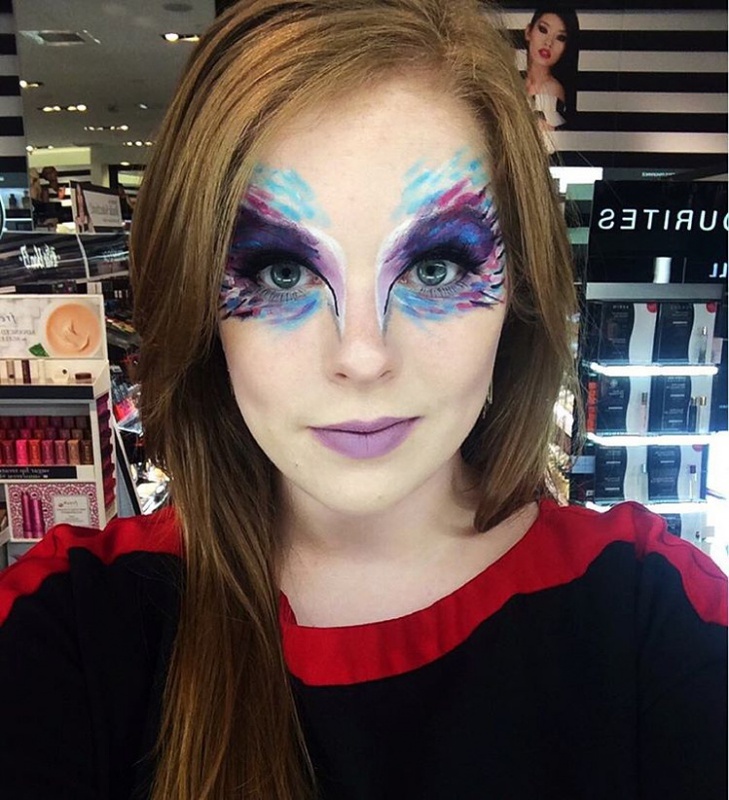 How to choose a cool bird makeup design? When it comes to choosing a bird to makeup, the sky is the limit. 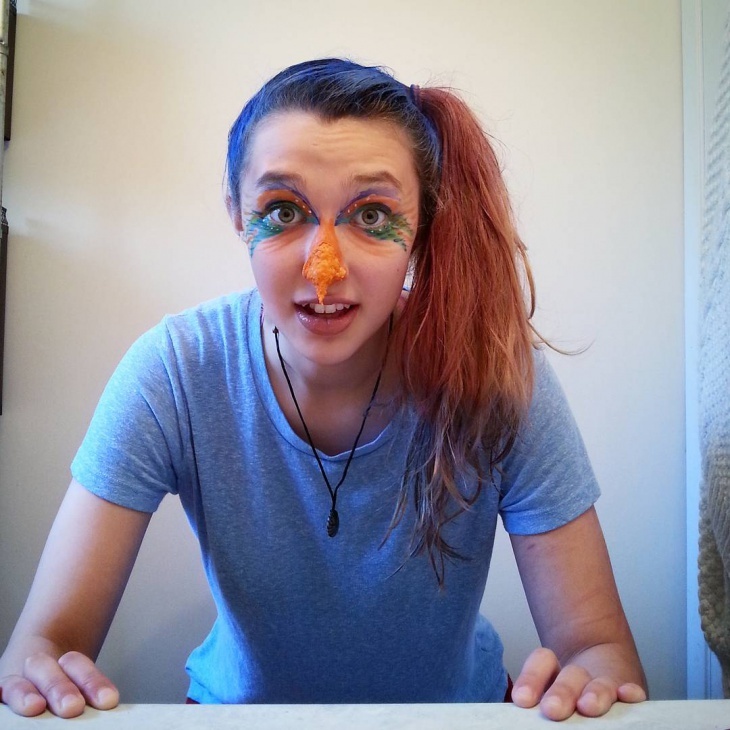 Teenagers who want to portray their fun personality can opt for peacock, parrot or any tropical birds as their inspiration. 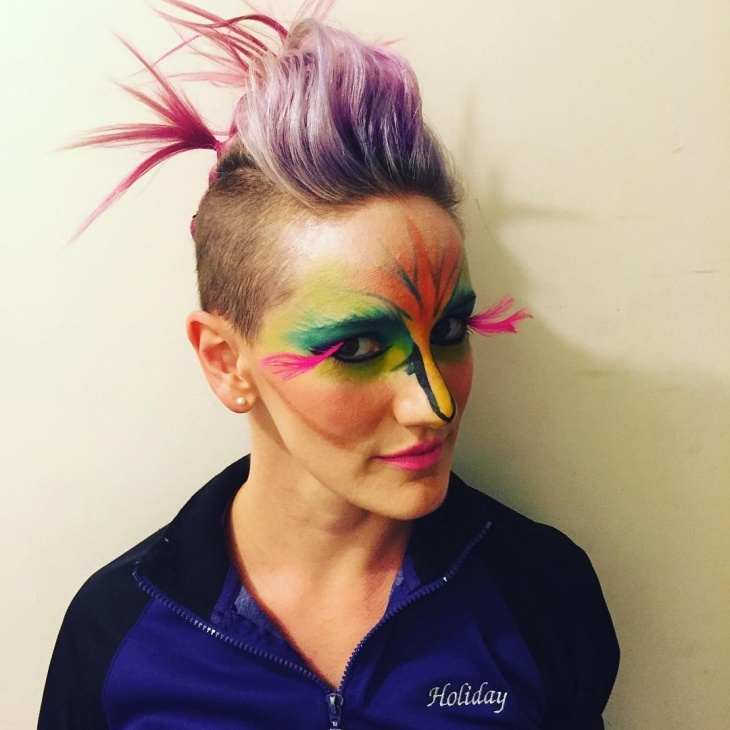 Just remember the key function of all bird makeup is to show the general concept of a bird. 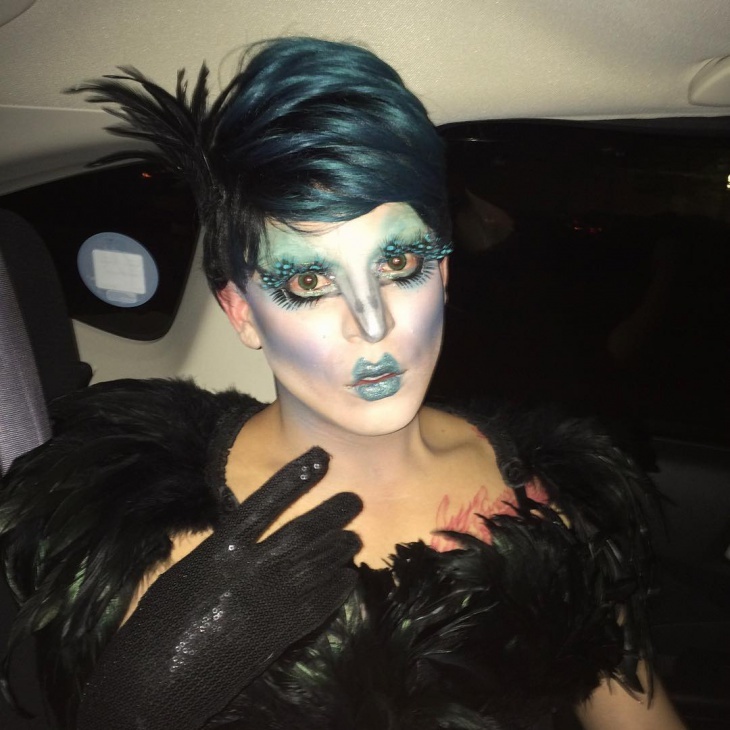 What to add to make the bird makeup stunning? 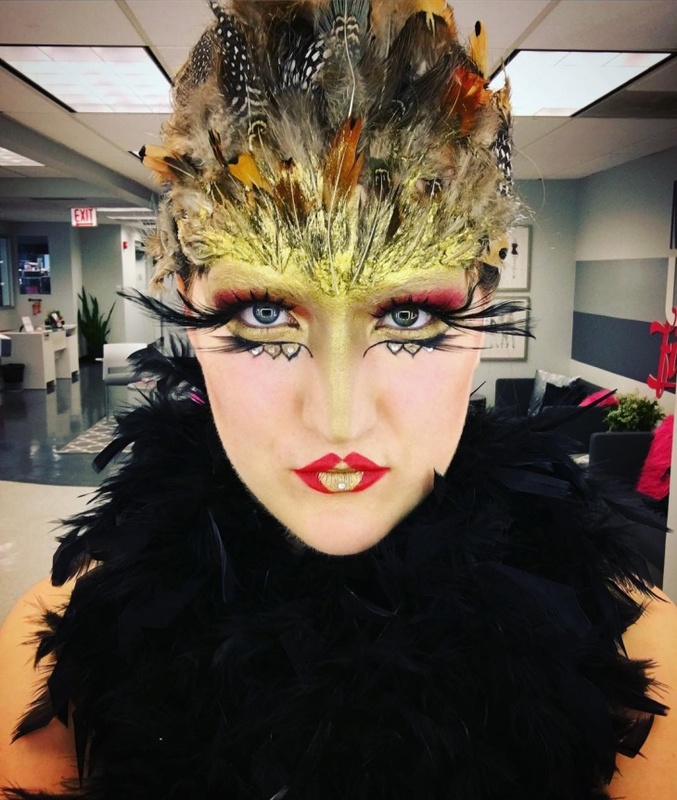 A simple bird makeup design involves adding a variety of elements such as feathers on the head and eyelashes to complement the whole bird theme. For a subtle bird look, instead of focusing on the face, you can add feathers to the head and neck. 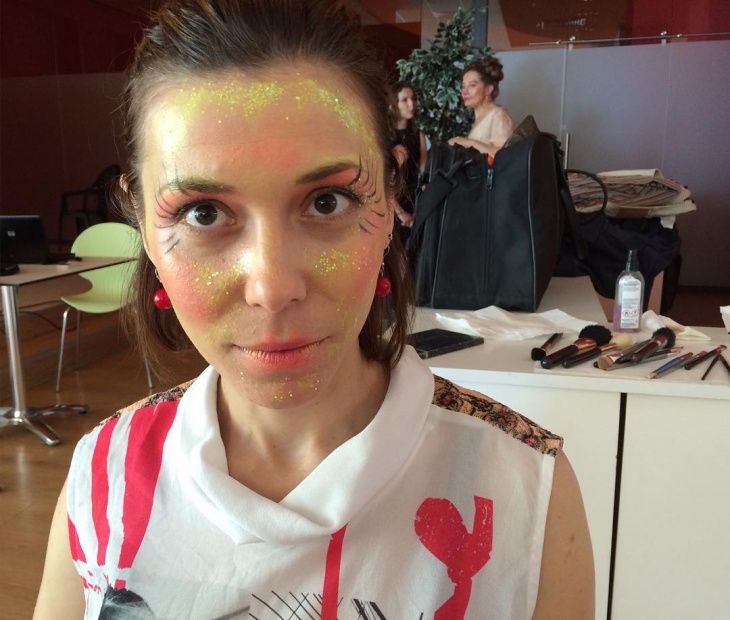 Bird makeup is perfect for attracting attention either at a costume party or Halloween. You can use bold eye makeup to solely focus on the eyes by adding feathers on either the eyelashes or eyebrows. 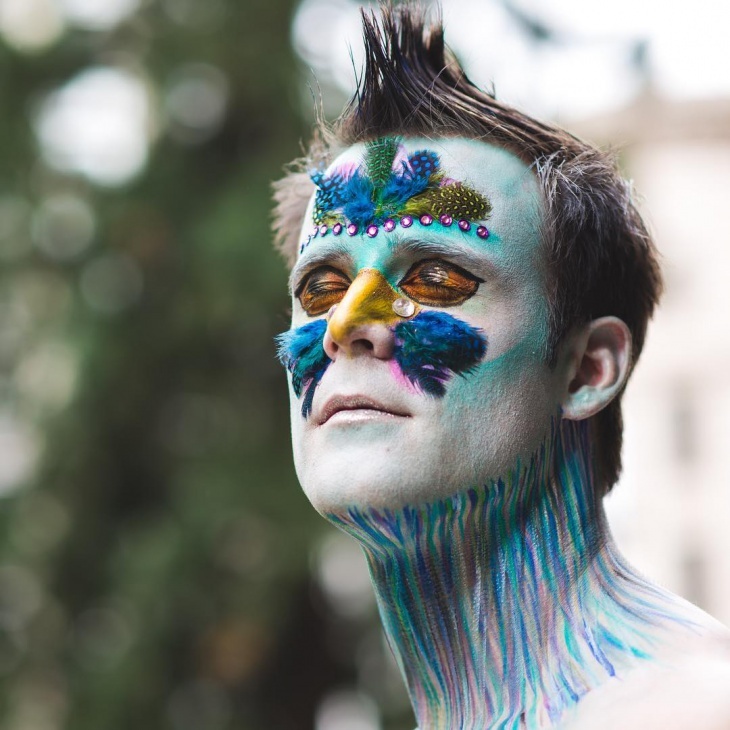 Draw inspiration from the above bird makeup designs and make a statement with one of these designs.